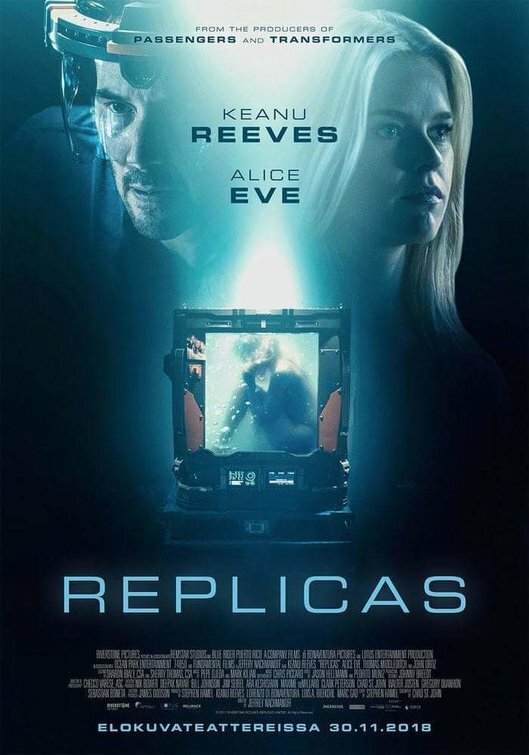 Check out a trailer and brand new, or rather first, poster for Keanu Reeves’ new science fiction thriller REPLICAS in which he plays a daring synthetic biologist, who, after a car accident kills his family, will stop at nothing to bring them back, even if it means pitting himself against a government controlled laboratory, a police task force and the physical laws of science. In short – Keanu tries to clone his dead wife played by Alice Eve! The movie should slowly start hitting cinemas in certain countries around the world this Autumn and Winter. Jeffrey Nachmanoff, who wrote The Day After Tomorrow, is directing this international production.